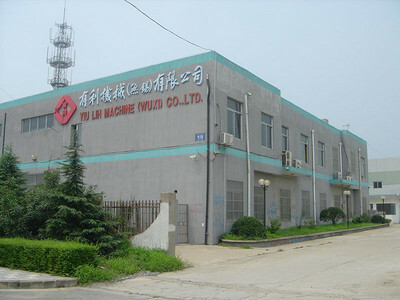 YIU LIH MACHINE INDUSTRAL (WUXI) CO., LTD. Advantage Machinery Co., Ltd. is specializing in the production of ironing ironing equipment enterprises, headquartered in Taiwan, product marketing at home and abroad. In 1971, the company holds favorable mechanical pursuit of perfect quality, advanced technology as the goal, dedicated to the ironing machine so far more than thirty years, has been well received by domestic and foreign customers support. In 1992, good machinery company founded the first company -- Unisys Machinery Co. Ltd. in Shenzhen, approved by the Ministry of labor became the first production of copper furnace of foreign-funded enterprises. In 1998, advantageous machinery established second companies in Wuxi - beneficial machinery (Wuxi) Co., ltd..
All kinds of ironing and shaping machine, all kinds of steam generator, all kinds of wet ironing table, all kinds of paper printing machine, all kinds of wrinkle, DP equipment, all kinds of steam irons and other auxiliary equipment for ironing clothes. With a loyal attitude to provide first-class pre-sales, after-sales service; customer first, integrity-based for the purpose of providing the best service. The kind of mechanical design format, and solve the technical problems and difficulties for aircraft operations. YIU LIH MACHINERY INDUSTRY (WUXI) CO.,LTD. YIU LIH MACHINERY INDUSTRY (WUXI) CO.,LTD. is specializing in the production of ironing ironing equipment enterprises, headquartered in Taiwan, product marketing at home and abroad.